With Valentine’s Day just around the corner, my husband’s 40th birthday and our anniversary all within a few weeks of each other, I was trying to figure out just the perfect gifts for the man who already seems to have everything. Thankfully, I discovered RedEnvelope.com which has a fantastic selection of exclusive and unique gift ideas for men and women. I love the convenience of shopping online and RedEnvelope.com has such a wide variety that it makes it the ultimate one stop shop for gift giving. My husband loves to brew his own beer so the Mr. Beer Brewing Kit immediately caught my attention and I knew this would be the perfect Valentine’s Day gift for my sweetie. It includes everything that he would need to make his own home brewed premium beer for only $49.99. For his birthday, I selected the Hand Dipped Fancy Berries with tempting chocolate swirled strawberries that look absolutely delicious. I also think he will love the Pittsburg Steelers Hammer and you can choose your favorite NFL or MLB team logo for only $19.99 on sale. Finally, for our anniversary….I found the perfect gift to personalize for our sweet heart nicknames, “Rooster” and “Hen”Nickname Snack Bowls and the Snack Attack basket of snack goodies to fill it up his new snack bowl with yummy treats. I realize that I mentioned I was shopping for my beloved but that doesn’t mean a gal can’t find a few things for herself right? I fell in love at first sight with these stunning Murano Glass Heart Earrings and the price was right so I scooped up a pair for myself too. RedEnvelope.com has a variety of shipping options to meet your needs including overnight or weekend delivery and is a very user friendly website. It has categories for most major special occasions to give your fantastic gift ideas and I love all the bargains in the “Specials” section. 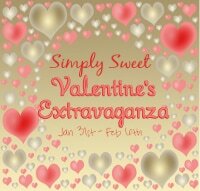 You are invited to view all of the fabulous Valentine’s Day gifts for the special man in your life. Thanks for the giveaway…would love to pick up “birthstone circle necklace(s)” for my daughters @ RedEnvelope ! Probably the five-star terry robe. I love the murano heart bracelet! I follow RedEnvelope on Twitter. I like the red picnic set.